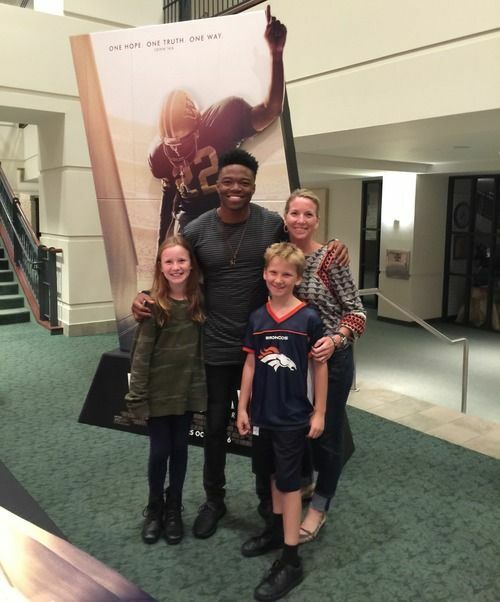 ​Last night, my family and I had the privilege of attending the premiere of the movie Woodlawn at our church. There were close to five thousand (maybe more) people in attendance to watch a movie – a movie about football and racial tensions in the 1970’s, but more importantly, a movie about Jesus. Thousands of people! ​School sports teams, student ministries and families were invited – everyone you can think of. Students donned their team’s jerseys and there was an air of expectation. If you have ever watched Christian movies in the past, you know the quality of Christian filmmaking has not always been that great. The big budgets just aren’t there. I wrote a month ago about the movie War Room. 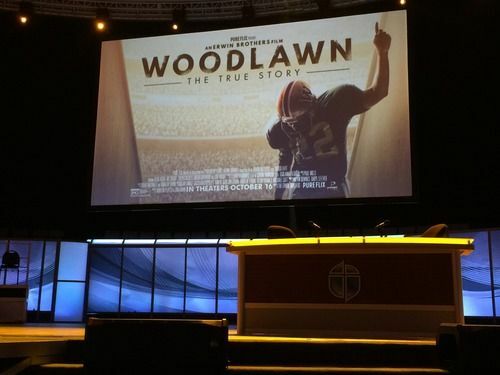 I thought that movie was good, but let me just say that Woodlawn took it to another level. The story is based on a true story from the "Jesus Revolution" in the 1970’s. This particular story took place in racially tense Birmingham, Alabama. I am not going to blow the whole movie for you…because I think each person needs to see it for him or herself, but I will share the movie trailer with you. God is truly sovereign and in control. He is the one who gives us good and perfect gifts and He is the one who gifts us with skills and talents. It is so refreshing to see people use their God-given gifts for His glory. The producers, the actors and all the behind-the-scenes people did this so that the message of Jesus can be spread to this generation. One of the producers said that seeing the response last night made it all totally worth it. The main character, based on the true life Tony Nathan, is played by Caleb Castille. 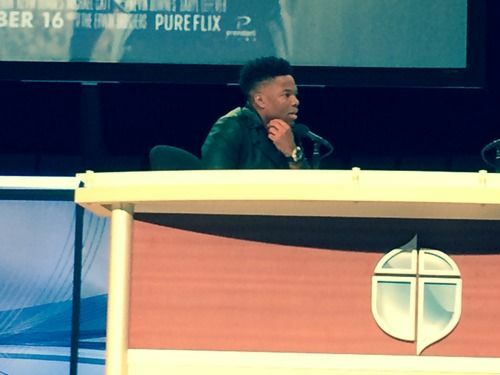 Caleb did a Q&A with our pastor and shared his heart. He is not a known actor and this is his first major role. However, what came across from his answers was the fact that at his core, he believes what he portrayed on the big screen. His message is that living out the Gospel is pretty simple. “Love God. Love People.” Everything else comes as a result of those two things. ​At the end of the movie, our pastor gave an invitation for anyone who needed to surrender his or her life to Christ and make the decision to declare there is only “One Way” to heaven (One Hope. One Truth. One Way. (John 14:6) – the movie’s theme). Slowly, one stepped forward, then three and the next thing you knew, hundreds of people (mostly students) answered the call and came forward. Amidst their peers and the stares of other students, these kids made the decision to make their decision public. So brave, so courageous and so encouraging. God is not dead. He surely is alive and He is using any and all means to get our attention. I am so grateful He is using the media platform to reach our western media minds.